Style & Co Sweater Just $20.99! Down From $50! Shipped! 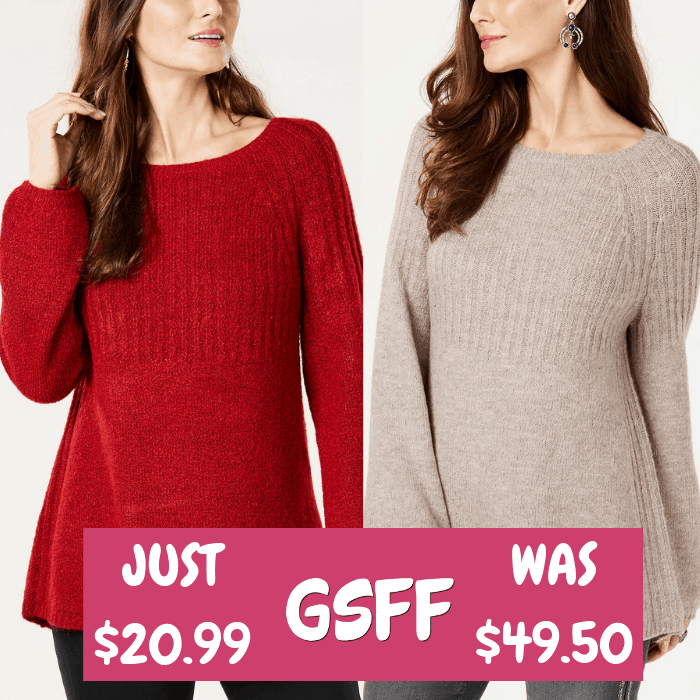 You are here: Home / Great Deals / Style & Co Sweater Just $20.99! Down From $50! Shipped! For a limited time only! Macy’s is offering this Style & Co Sweater for just $20.99 down from $49.50 PLUS FREE shipping! Keep warm and cozy in this tunic sweater from Style & Co, designed with bishop sleeves. It makes a great gift too!